To purchase, please click on the check-box, that you have the script/prescription available*. 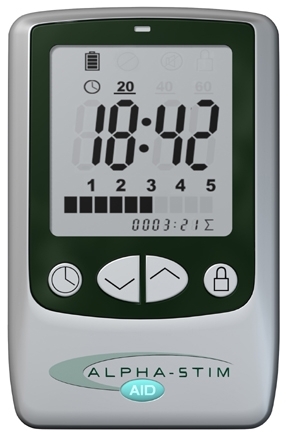 * For purchase, the FDA requires that we receive a copy of a prescription (or on letterhead from Licensed Health Practitioner- MD, chiro, social worker, psychologist counselor, PT, Acupuncturist, etc)- It should state 1 Alpha-Stim® AID Cranial Electrotherapy Stimulator for "your name") to be faxed to 212-222-5667. The Alpha-Stim® AID cranial electrotherapy stimulator treats anxiety, insomnia and depression. 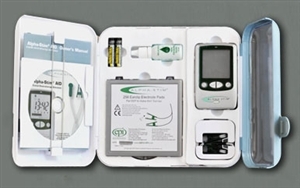 Comes complete with the following accessories: one set of Earclip Electrodes, 256 Earclip Electrodes, 15ml Alpha Conducting Solution, two AAA batteries, storage case, AID DVD, neck lanyard, and an illustrated Owner's Manual. Multi-lingual Owner's Manual also available.